4. detsember / Tartu Postimees and the Tartu City Government are calling on all residents and friends of Tartu to give their opinion on what was the achievement, undertaking or event of the year that deserves the title of Deed of the Year. Tartu’s Deed of the Year is being selected for the 21st time. You can communicate your preference on Tartu's homepage (www.tartu.ee/aastategu2018), the homepage of Tartu Postimees, via e-mail to the address maarika@eestimeedia.ee or via the paper slip published in the hard copy of the Postimees. Voting will be open until 18 December. Tartu's Deed of the Year will be announced at 12.00 on 27 December 2018, in the Town Hall. • Raising of the Estonian flag on the Tartu water tower. • Anthology «Tartu Dome Church. Cathedral. Library. Museum». • Koidula and Jannsen Memorial Square. • Expanded Eeden Shopping Centre. • Exhibition «DIY Estonia» at the Estonian National Museum. • Exhibition «Birth of a Tradition. Golden Era Estonia Art from the Collection of Enn Kunila» at the Tartu Museum of Art. • Renovation of Pirogov Square. • Renovation of Raatuse Kool (Raatuse School). • Rait Ratasepa’s World Record in the Ultra Triathlon. • Tartu Appeal and Emajõe kett (Emajõgi River Chain), as well as other citizen's initiatives, which helped bring an end to the special plan for the wood refinery (pulp mill). • Tartu Elektriteater (Tartu Electric Theatre) – Southern Estonia’s only theatre for worthy films. • Tartu Public Library «Story Stop» nationwide project. • Addition to the University of Tartu Sports Hall. • Production at Tartu New Theatre «Kremlin's Nightingales» as a cultural export from Narva. • Completion of renovations at the University of Tartu Library. 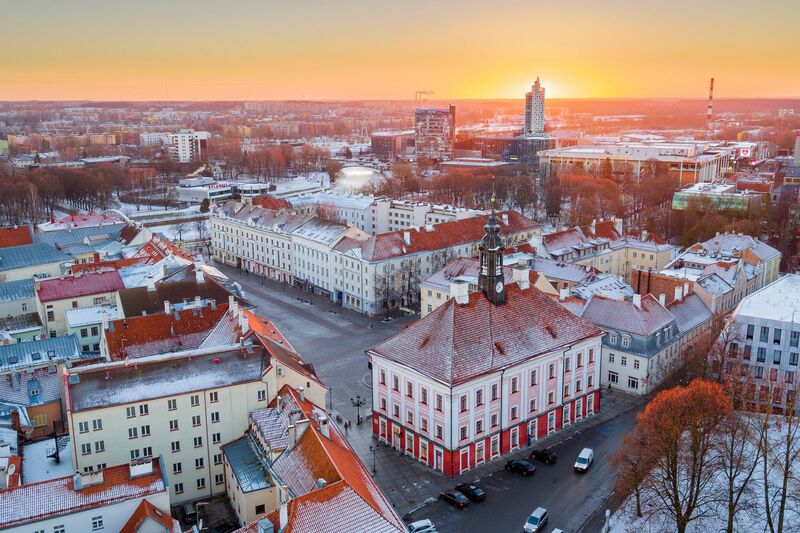 • New flight times expanding flying options from Tartu. • New playground in the Jaamamõisa City District. • University Students’ Song Festival Gaudeamus, in Tartu. Feel free to add your own preference.